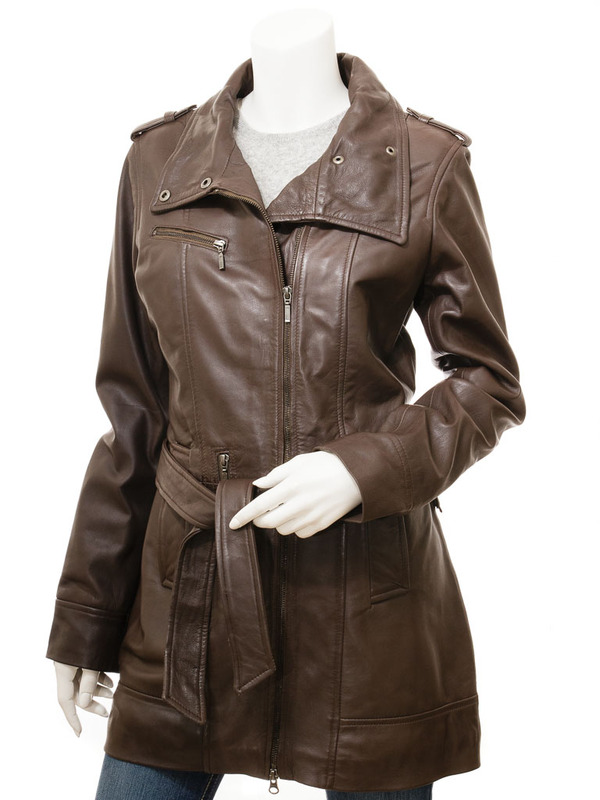 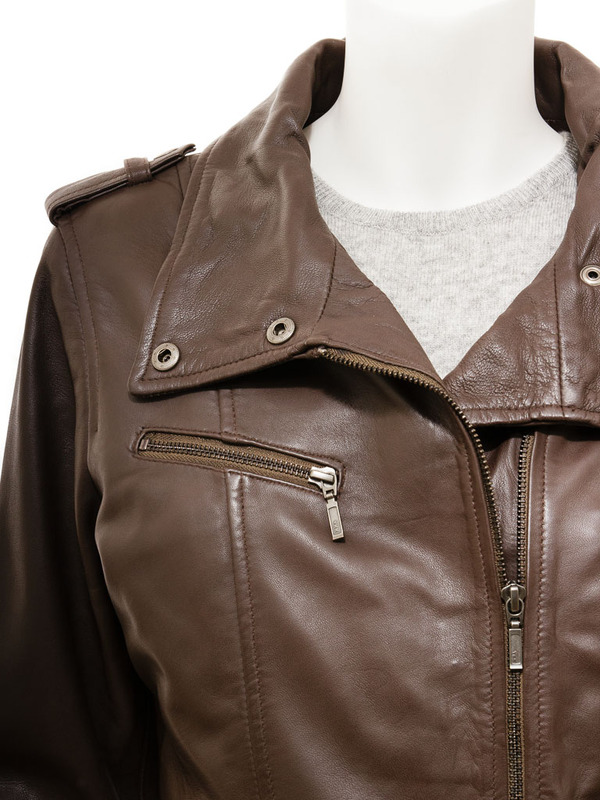 A luxury brown leather coat with military styling cues. 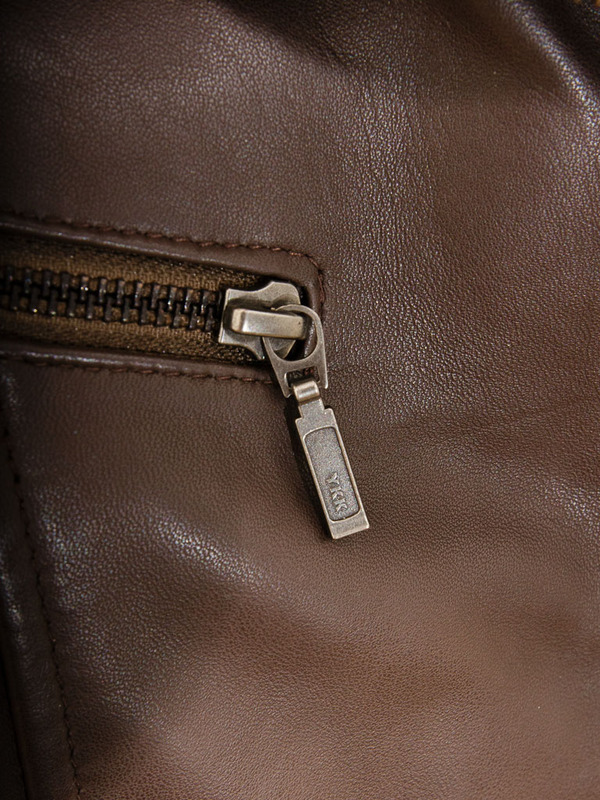 Crafted from soft and supple sheep nappa leather and featuring a YKK zip front over a double breasted front that leads up to a deep funnel collar. 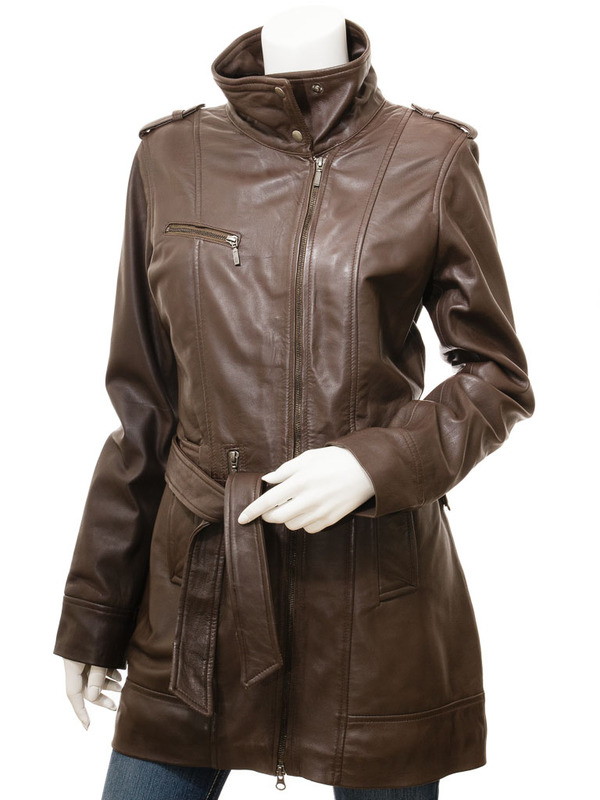 Epaulettes at the shoulder lend a military air to the style as do the zipped pockets and the leather belt. 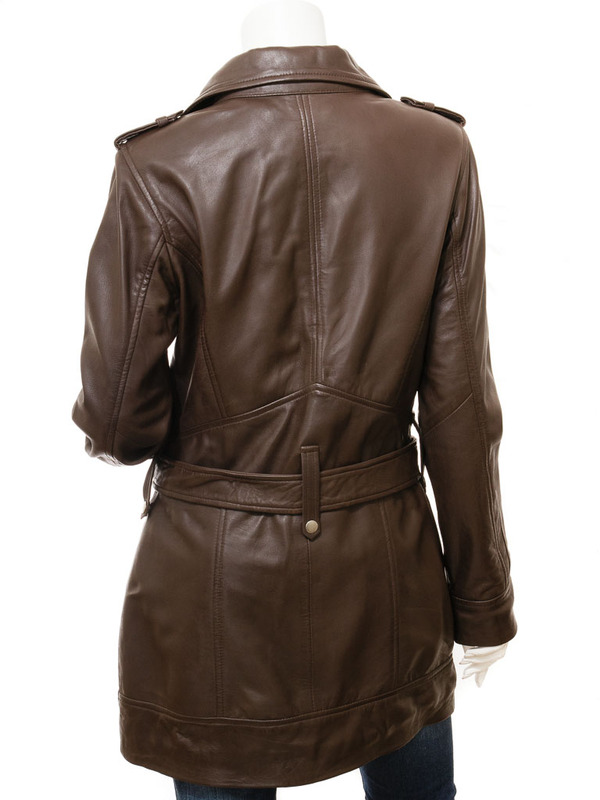 There are two more handwarmer pockets at the waist while the interior is fully lined in satin.